How does a business shift and grow along with the ever-changing ecommerce market? It’s not easy! Consumers can be fickle. But if you build a powerful, loyal community of buyers, it can sustain your brand for years to come. That’s exactly what Griffin Thall has done. 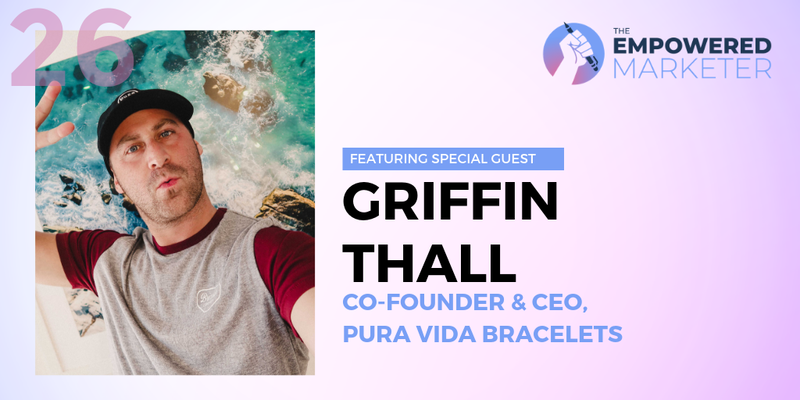 He’s the Co-founder and CEO of Pura Vida Bracelets, which offers colorful and handmade layered bracelets and other jewelry. Griffin and his co-founder bootstrapped the business eight years ago, and it’s grown rapidly to more than 650 people spanning four countries. Pura Vida’s success lies in the massive fanbase they’ve built, with 1.4 million followers on Instagram and a dedicated audience who show up by the hundreds in-person to their Insta-meetups. Pura Vida is the rare brand that is able to translate an online following into a vibrant, real-world community. 1. How did Pura Vida get started? Pura Vida bracelets started on a surf trip to Costa Rica in 2010. Me and my business partner, Paul, went there just to kind of surf and backpack and travel around. We met these two guys on a beach name Jorge and Joaquin, just making bracelets by hand. We asked them to make us 400 bracelets. Brought them back to San Diego, put them online, put them in a couple boutiques, and from there the brand was born. Today Jorge and Joaquin now manage a team of 650 bracelet artisans. They make every single one by hand, we don’t use any machines. Their artisans are between Costa Rica and El Salvador. 2. What are the values behind your brand? From day one, our brand was about helping out artisans, providing them with jobs and sustainable income. After maybe six months or so, someone emailed us saying, “My mom passed away from breast cancer. I would love if you made a bracelet that was pink and resembled breast cancer awareness.” We thought about it and quickly turned a bracelet into a charity bracelet. We donate a percentage of those sales to the charity tied to that bracelet. Today, we have tons of different charity bracelets in different styles. We’ve donated over $1.7 million to date to our charity partners. I think it just kind of has to go back to our brand ethos. 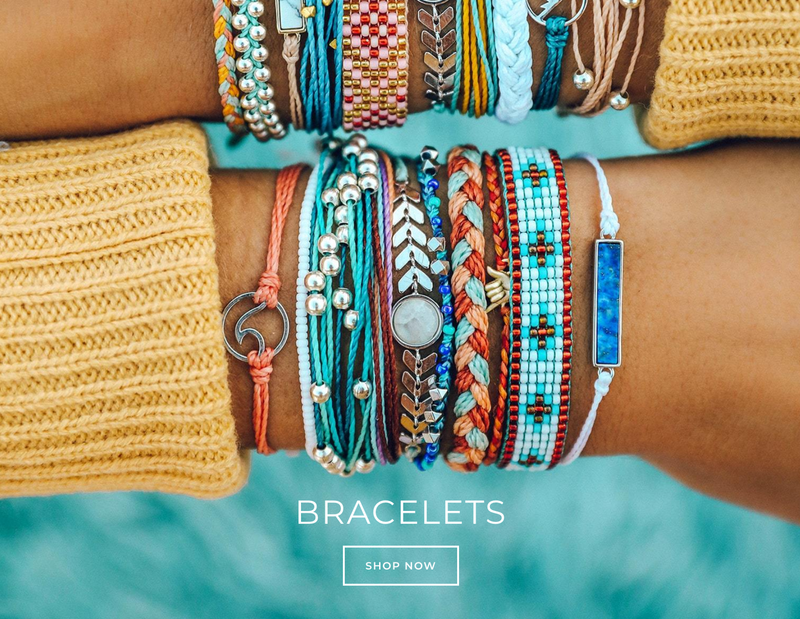 Getting people to learn about Pura Vida from different angles, whether it’s they like the artisan angle or whether they like the charity bracelets, or whether they like our rings or style packs. It just adds another dimension to the brand that keeps the customers loyal. 3. The company has grown incredibly quickly. What was that experience like, and what were some of the challenges you faced along the way as an entrepreneur? Since our products are handmade, it’s really about the supply chain management and operations. We have an internal team that just focuses on supply chain, on structure, on coaching them and building out their different operational layers. At the beginning, when we were selling a couple of bracelets a day or a couple hundred a week, you don’t really need this type of infrastructure. I think that was one of our biggest growth pain points. If we want to be selling tens of millions of these bracelets, how is it going to funnel down? It can’t just be amazing marketing and no back end. It needs to be a good balance of both. 4. What were some of the marketing channels that worked for you? What were the biggest drivers for the business? That’s how we started to get the brand off the ground pretty quickly. From there we instantly had over 100,000 followers on our Facebook page and found massive organic reach. Every time we posted about new bracelet launches or contests the reach and response was insane. It eventually became harder to get organic reach on Facebook, so we started running paid ads (along with every other brand!). That really opened up the gates to reach a whole new customer base. From there, we jumped on Instagram as soon as it launched, starting organically. We instantly scaled to become one of the most popular Instagram accounts, with over 1.4 million followers and more engagement than brands double our size. It shows that our marketing strategy is top notch. We eventually layered in Instagram paid ads to reach even more new customers. Our look-alike audience is so refined because of all of our user data in Shopify. Right now we’re also testing with Snapchat and it’s working quite well. Launching in 2010, we were lucky to build our community mostly organically. These days, that type of reach is hard, and brands rely more on paid to get their start. Word of mouth is still very important for us. 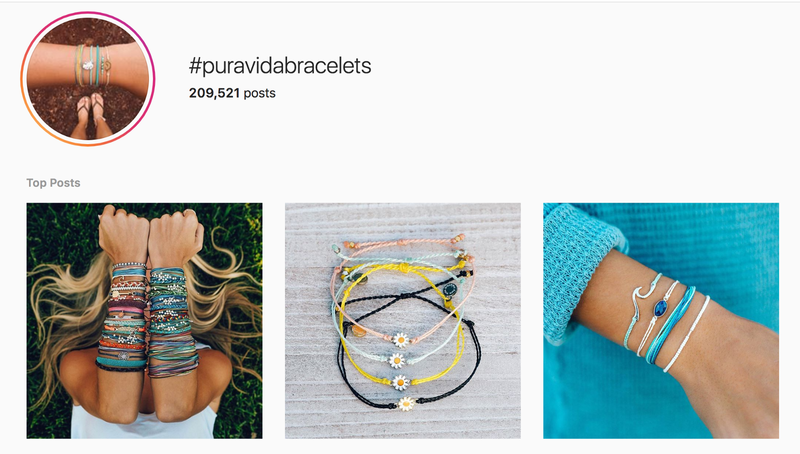 We have over 200,000 shared photos for our brand term, #puravidabracelets. That means people are getting their packages, they’re sharing, they’re telling their friends. We also have over 50,000 Pura Vida reps that have a rep code that is just for grassroots marketers on their campuses. They post in their sororities or their soccer teams or their youth groups and just talk about Pura Vida organically. We still have a good blend of the paid and the organic side. If you’d like to learn more or buy your own bracelets, just visit puravidabracelets.com.